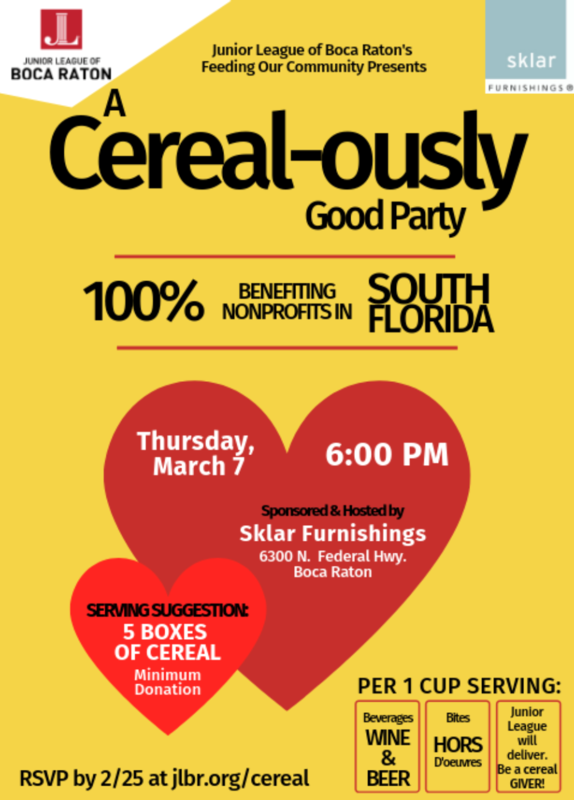 Thank you for joining us for a “Cereal-ously” Good Party at Sklar Furnishings on March 7th, 2019! Attendees were served light bites, beer and wine while their cereal donations went to benefit local non-profits who serve the food insecure in our community. A huge thanks to our gracious hosts, Sklar Furnishings! Thank you for supporting this worthy cause. We will see you in 2020!